Baseball Box made from Poplar Wood with a hand applied faux finish. Baseball image is under glass. 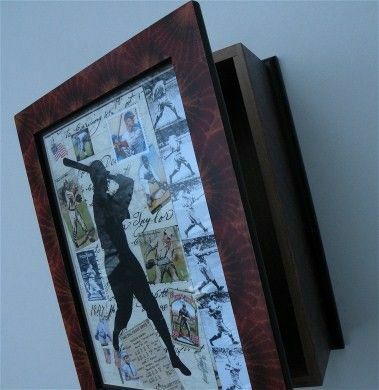 Great for storing baseball cards or your favorite things.